We would like to wish you more joy in the coming year. 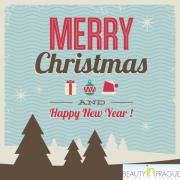 Please note our clinic will be closed during the holidays – from December 23rd until January 3rd. All your enquiries will be answered after this period. 2. send us photos of the areas to be treated. You will receive your cosmetic surgery package also after January 3rd.